emperumAn wonders “In this samsAram where there are many inauspicious aspects such as bhagavath apachAram (offense towards bhagavAn) etc which cause anger [in me], to be freed from hurdles for kainkaryam, having acquired aversion for them, you are praying for elimination of the same, which is difficult to attain even for yOgis!” and ALavandhAr says “I desire for that thinking about the unlimited auspicious qualities of your highness which can remove endless inauspicious aspects”. dhayAsindhO! – Oh my lord who is an ocean of mercy! bandhO! – Oh one who is all types of relationships to me! niravadhika vAthsalya jaladhE! – Oh one who is like an ocean for boundless motherly love! Oh my lord who is an ocean of mercy! Oh one who is all types of relationships to me! Oh one who is like an ocean for boundless motherly love! Though I am the abode of great sins which are without a beginning, endless and impossible to eliminate, I am desiring in this way, being fearless due to remembering again and again your groups of auspicious qualities. dhuranthasya – Inauspicious aspects for which the end is not seen. Neither by atonement nor by experiencing the results, can these be exhausted. Also explained as – difficult to be analysed. In future, these sins will lead to hell and rebirth. anAdhE: – It is said in thiruvAimozhi 1.4.2 “mun seydha muzhuvinai” (sins that were done since time immemorial). apariharaNIyasya – Even for your highness, who is omnipotent, these would be difficult to pursue. mahatha: – Innumerable. Even if the results are experienced forever, there is no end to them and for such inauspicious aspects, there is no count; SrIvaikuNta sthavam 60 “yadhbrahmakalpaniyuthAnubhavE’pyanASyam” (sins committed by this jIvAthmA in half a moment cannot be atoned even over a period of 1000s of days of brahmA, such amount of sins are committed by this). It amazes one thinking “How can this miniscule AthmA commit so many sins?”; thiruvAimozhi 4.7.1 “seelamillAch chiRiyan” (lowly person with no good qualities). nihInAchArO’ham – The AthmA which is identified as having consciousness, is now being identified by its adharmAchAra (practice of adharmam [immoral or unrighteousness]). AchAram means the acts such as sandhyAvandhana etc which qualify one to engage in distinguished acts. Here, ALavandhAr is saying that he is qualified to engage in sinful acts. nrupaSu: – Only difference between him and animals is, he has two legs and animals have four legs. narasimha purANam 16.13 “gyAnEna hIna: paSubhis samAna:” (When there is no gyAna, he is as good as an animal only). Since I am born as a human who is bound by SAsthram, I cannot be classified as animal. Since I don’t follow any regulation in “AhAra nidhrA bhaya maithuna” (Same SlOkam, where it is explained that, animals do not follow any regulation in eating, sleeping, defending and mating), I cannot be classified as a human. So, I do not qualify for either of the categories. aSubhasyAspadham – aSubha (inauspicious) means that which is a hurdle for Subha (auspicious). Here, Subham is purushArtham (the real goal). I am the abode of all hurdles for such goal. Being the substratum of everything bad starting from akruthya karaNam (doing what is forbidden in SAsthram) to asahya apAchAram (unnecessary offenses) [bhagavath apachAram (offenses towards bhagavAn), bhAgavatha apachAram (offenses towards bhAgavathas are usually listed in between them). Just as you are the substratum for all auspicious qualities, I am the abode of all inauspicious aspects. api – Though I am as explained here, I have a means to think as said in previous pAsuram “kshaNam api sahE yAthu sathadhA vinASam” (cannot tolerate even for a moment, let these be destroyed). What is that “means” [which make you say that]? dhaya sindhO – This ocean of my inauspicious aspects is like a small pit In the ocean of your mercy – such is your mercy. 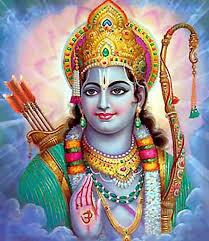 SrI rAmAyaNa sundhara kANdam 38.34 “vadhArham api kAkuthstha: krupayA parya pAlayath:” (Though kAkAsura deserved to be killed, SrI rAma protected him out of compassion). SrI rAmAyaNam ayOdhyA kANtam 2.42 “vyasanEshu cha manushyANAm bruSam bhavathi dhu:khitha:” (when his subjects suffered, SrI rAma felt more agony than they). SrI rAmAyaNam yudhdha kANdam 18.34 “yadhi vA rAvaNa svayam” (Even if rAvaNa had come [bring him along, he too is given refuge]). SrI rAmAyaNam yudhdha kANdam 59.144 “gachchAnujAnAmi” (SrI rAma tells rAvaNa – Leave now and return tomorrow). bandhO – The natural relationship [between emperumAn and jIvAthmA] which makes emperumAn consider the gain/loss of his devotees as his own, is highlighted. SrIvishNu purANam 5.3.12 “aham vO bAndhavO jAtha:” (krishNa – I consider myself as your (cowherds) relative). SrI rAmAyaNam bAla kANdam 1.85 “kruthakruthyasthathA” (After crowning vibhIshaNa in lankA, SrI rAma felt as one who accomplished his own task, and became happy, being relieved from grief). mahAbhAratham udhyOga parvam 47.22 “… ruNam pravruththamiva mE hrudhayAnnApasarpathi ||” (dhraupathi called out to me saying “gOvindha!” from far and I am unable to shed that cry like a debt (which grew manifolds due to interest build up)). mahAbhAratham “urasA dhArayAmAsa pArtham sanjAdhya mAdhava:” (mAdhava (krishNa) hid arjuna behind himself and took the arrow on his own chest). mahAbhAratham udhyOga parvam 74.27 “mama prANA hi pANdavA:” (pANdavas are my life). niravadhika vAthsalya jaladhE – vAthsalyam (motherly love) means as a mother cow would enjoy the dirt on a new born calf, emperumAn enjoying the defects of his devotees. Even if the shore of the ocean of compassion can be seen, the shore of the ocean of vAthsalyam cannot be seen. SrI rAmAyaNam sundhara kANdam 21.20 “SaraNAgatha vathsala:” (sIthA says – SrI rAma shows motherly love towards those who surrender unto him). SrI rAmAyaNam yudhdha kANdam 18.3 “… dhOshO yadhyapi thasya syAth sathAmEthadhagarhitham ||” (I will never abandon this vibhIshaNa who approached me in a friendly manner. Whether he has faults or not, virtuous people will not condemn acceptance of him). SrI rAmAyaNam yudhdha kANdam 41.4 “thvayi kinchith samApannE kim kAryam sIthayA mama” (even if you were insulted a little bit, what is the use of my getting back sIthA?). SrI rAmAyaNam AraNya kANdam 10.19 “abyaham jIvitham jahyAm …” (I may give up my own life, yours (sIthA) and lakshmaNa’s, but will never fail my vow that too the commitment given for the brAhmaNas). thava guNa gaNam smAram smAram – I meditate upon your qualities again and again. Thinking about the groups of auspicious qualities of your highness with aforementioned qualities. SrI rAmAyaNam kishkinthA kANdam 15.21 thArA’s words “guNAnAm AkarO mahAn” (SrI rAma is a great abode for auspicious qualities). mAthsya purANam, varAha purANam 74.40 “yathA rathnAni jaladhEr” (As there are countless precious stones in the ocean). varAha purANam 73.94 “chathurmukhAyu: …” (If an imaginary person with the life span of many brahmAs, with purest of minds, exists, he may or may not be able to speak 1/10000th of your qualities. Oh best among the dhEvas! bless us). idhichchAmi gathabhI: – Instead of looking at myself who is the abode of all inauspiciousness and fearing, I thought about the groups of qualities of your highness and prayed “na dhEham na prANAn“. This entry was posted in Other, sthOthra rathnam on March 5, 2017 by Sarathy Thothathri.